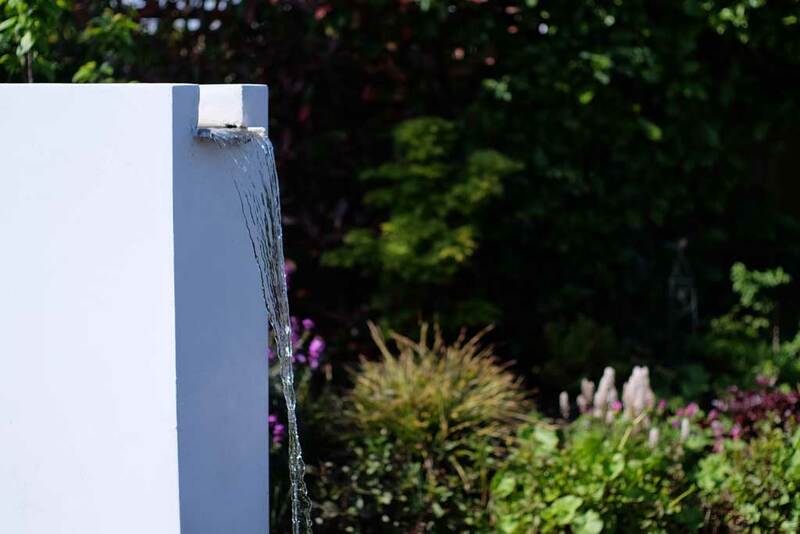 In today’s episode we visited Patience in her beautiful garden in Herne Bay, Kent which was designed by Haywood Landscapes. After having moved a total of 17 times, Patience knew this was her forever home and so invested a lot of her experiences and memories into the garden. White rendered walls represent her time in Greece whilst the wooden bridge and central large pond remind her of Japan. 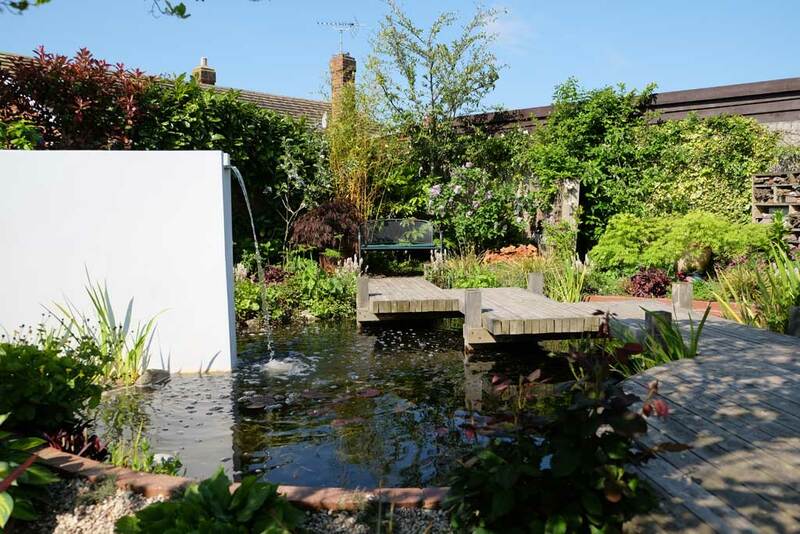 The tranquil, relaxing pond, the seating area surrounded by green and the personal memories in Patience’s garden gave Alan themes to follow in Hari’s design and he even got a little reminder of Ilkley moor in amongst Patience’s exotic travels.